If you like Xiaomi Mi Note - perhaps you like its gorgeous look and super thin design, or its dual SIM connectivity - but find yourself wanting more power, then the Mi Note Pro is the perfect "monster" for you. Announced in January and released in May 2015 as Xiaomi's flagship phone, the Mi Note Pro boasts one of the most powerful CPUs in existence today, the latest fast RAM technology, the speediest LTE connectivity and stunning display. Smartphones sold through ShopJoy are 100% genuine. The Xiaomi Mi Note Pro is sourced directly from Xiaomi in China. The model listed on this page has been tested and proven to be compatible with major Australian mobile carriers. In Mi Note Pro, Xiaomi reproduces Mi Note's beautiful physical appearance while not holding back in upping the internal specs. 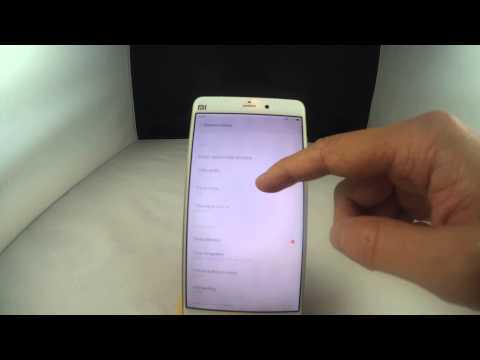 Externally it appears almost identical to Mi Note, with its golden colour metal trim (instead of white or black that is found on Mi Note) being the only difference. To give you the best computational power, this flagship phone is fitted with the ultra powerful Qualcomm Snapdragon 810 octa-core processor, accompanied by 4GB of LPDDR4 RAM (the kind of super fast memory that's found in Samsung's top-end Galaxy S6). The Mi Note Pro scores 65,000 on the popular AnTuTu benchmark app whereas Mi Note only manages 40,000. This puts Mi Note Pro ahead of Samsung Galaxy S6 Edge, HTC One M9, and Google Nexus 6, and just behind Samsung Galaxy S6. As if this kind of speed is not fast enough, Mi Note Pro's Adreno 430 GPU almost doubles Mi Note's graphics performance while being 50% more power efficient. LTE 4G connection speed is another one that gets a massive boost. Equipped with LTE Cat 9 (theoretical download speed of 450 Mbps), the Mi Note Pro is not only better specced than Mi Note with its LTE Cat 4 (theoretical speed of 150Mbps), but Samsung Galaxy S6 too. In our test using the Ookla SpeedTest app on Telstra's 4G network in a Melbourne suburb, Mi Note Pro's download speed was 47Mbps compared to Mi Note's 38Mbps. Other than that, Mi Note Pro is a dual SIM phone that is compatible with major Australian mobile networks, just like Mi Note. In our experiment with Telstra and Optus, both networks were detected automatically, as shown on this screenshot. Continuing a long list of impressive specifications is the 2560 x 1440 2K QHD display with a high pixel density of 515 ppi. By packing 80% more pixels than Mi Note on an identically-sized screen, Mi Note Pro gives you a very sharp display. Not only that, its 74.4% screen-to-body ratio means that there is a high amount of real estate for you to enjoy its stunning display. If you're concerned about the high pixel count's impact on battery consumption, don't be. Even though its screen powers many more pixels that Mi Note, Mi Note Pro uses up battery at the same rate. Both devices' battery level drops at a similar pace when subjected to battery testing using AnTuTu. It looks like the more power efficient Adreno 430 GPU compensates for the higher pixel count adequately. Although the MIUI 6 OS that runs on Mi Note Pro and Mi Note looks and feels the same, under the surface the two operating systems are actually different. MIUI 6 for Mi Note Pro is based on Android Lollipop 5, where as Mi Note is Android KitKat 4.4. The remaining features of this powerful smartphone are the same as Mi Note. To learn more about its camera, OS and apps, and language settings, please refer to the Mi Note product page.